Angela and her partner in ministry, Courtney, had a fantastic giveaway on their Good Morning Girls blog - 3 copies of The Ministry of Motherhood by Sally Clarkson. Angela and her husband decided to surprise their readers and bless 7 more people with copies and I WON! I am so excited, God is SO good. I wanted to read this but the library doesn't have it and new books are not in the budget! Angela and Courtney are going to be reading this book with the blog readers on Good Morning Girls this summer. 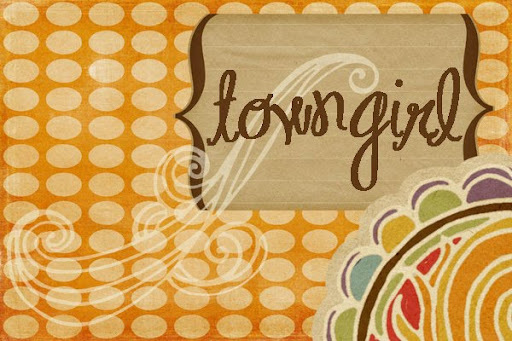 We have a local group of Good Morning Girls that virtually gather every morning after we've had our time with God and share what we learned or how God spoke to us each morning. It has been a tremendous blessing to me to not only have the accountabilty but also the fellowship and friendship of these ladies. Meeting together once a month for breakfast doesn't hurt either! If you know me in real life and desire to have accountability to meet with God daily, we have more than plenty of room in our Good Morning Girls group, contact me and I'll get you signed up. My desire is that our group will be participating in this book club this summer. You can go to the Good Morning Girls website and see about finding a group in your area or starting one of your own as well! We need to constantly encourage, lift up, and exhort one another in the Lord! "One preacher described it as if you and I were standing a short hundred yards away from a dam of water then thousand miles high and ten thousand miles wide. All of a sudden that dam was breached, and a torrential flood of water came crashing toward us. Right before it reached our feet, the ground in front of us opened it up and swallowed it all. At the Cross, Christ drank the full cup of the wrath of God, and when He had downed the last drop, He turned the cup over and cried out, 'It is finished.'" "...Any sort of prayer is built around the permise that we are in conversation with the God of the universe...and if that is not marvelous and wondrous and mystical, then nothing anywhere is marvelous and wondrous and mystical. A priest or a minister will say 'Let us pray,' and we will all just bow our heads as though nothing out of the ordinary was about to take place. What is about to take place is that we are about to presume to talk to the One who made heaven and earth, and presume that we will be heard....'Hear us, good Lord,' we say together in one of the liturgies in the cathedral where I worship, and sometimes I want to add, 'Good Lord, He might hear us.' There is something so astonishing about the whole notion of talking with God that sometimes I just want to lie down for a few minutes and catch my breath. Every once in a while I will hear someone say, 'And so I just told told God that I needed this or that,' and I wonder how it is they are still standing up." "We have all been called to be the body of Christ We have all been called to pray the prayer that He prays himself, the prayer that makes each day and hour holy, the prayer that He prays through us. We are all responsible if His prayer is not prayed and if it is not heard by the One who made us all. We are called to pray the prayer that has been prayed without ceasing by God's faithful for six thousand years. The fact that it is so faintly heard in our time is not a function of its irrelevance; it is a function of our ignorance." " For those of us who are not Catholic or Orthodox, this is the history of the Church we were often taught: Jesus came, Jesus died, Jesus rose again, and Jesus ascended into heaven. Paul wrote his letters and made his mission trips. The Pilgrims brough religious freedom to America. There was a revival in the 1800s, and the real Church was born. That history is a little like saying that American history is the story of the first Thanksgiving, George Washington, Thomas Jefferson, and D-Day. Some other stuff went on, other stuff that shaped us, bound us together, and made us one. But the truncated view of the Church many of us were taught has left us with some questions and some fears about the ancient ways of the Church, the ancient ways that sustained the Church in the first place, the ways that made it possible for there to have been any Church for the Pilgrims to bring over. One of the obstacles to embracing this way of prayer is our ignorance of and our fear of the anvient, our fear of anything that is too close to the Catholic Church. We are afraid that such prayer will lead us astray somehow, and that sch liturgical prayer is dead and lifeless and rote....What I am afraid of is that the ones who went before us, who sustained the Church for the eighteen hundred years before the revival broke out here, may have known something that I do not know. They sustained the Church, not me. And this prayer is one of the ways they did so." "We who will get up and walk, or even run miles in the mornings, not to mention those of us who are not willing to wait for there to be enough light to see the bottom of the flag or for the frost to go away before we tee off, we who will haul ourselves through our neighborhoods in the dark to make sure that have the box scores as quick as we can - for all kinds of reasons, including some good ones, I suppose, we will not, cannot, do not rise in the morning to greet the dawn with a song of praise on our lips, as did those who went before us. We who will stay up late to watch the televised version of the news that we heard on our drive home at size, who will TiVo enough must-see television that we have to stay up late to keep up, who will not go to sleep without reading a novel, who will burn the candle at both ends and in the middle if we can figure out how to get it lit, will not end our days with praise and worship and confession and blessing. We will not do these things in the name of love or discipline, devotion or worship...Call it postmodern, call it post-Christian, call it Post Toasties if you want to, but there is a world out there that says we - the Church united, divided, militant, or otherwise - can do nothing to spread the gospel here on earth. Much less do anything to make each hour of the day or night any holier. The witness of those who went before us is that we can. We just don't." Isn't Your Prayer Personal Enough Already? "We live in the age of the personal, I think....We have personal soundtracks on portable personal sound sustems so we can sort of clear out our own personal space...We have personal computers, and we can hire personal shoppers - though I have to confess that I am still personally up to the task of disposing my personal income myself. We have personal identification numbers, and some of us have personalized license plates. I heard on the radio an advertisement that says I have a personal banker, though we have never actually met. And if you met me, you could tell by looking at me that I clearly have personal style that fits comfortably around my persona. Once a quarter, I get a personal invitation in the mail to have my car's oil changed...by my personal mechanic, the one who works for the dealership that services my ultimate personal driving machine. Actually, my car was made in Germany for someone else in 1986; it says so in my mechanic's personal files that he keeps on the personal driving habits of all the persons who have ever owned this car. I take personal responsibility whenever I should, or at least when I have to, and I am personally convinced that I am on the planet to be my own person. So it is not really a surprise that my personal prayer to my personal Savior is all too often about one person. We live in the age of the personal. And personally, I am tired of it." Or whatever protein you prefer to serve with your Loaded Mashed! The winner of the Betty Crocker Loaded Mashed Potatoes Giveaway was.....ToyStory. I've emailed the winner and MyBlogSpark will send her prize pack right away. If you didn't win, you can download a coupon for $0.55 off a box of Betty Crocker instant mashed potatoes! I found this recipe on SparkPeople.com and paired it with the Loaded Mashed potatoes we had yesterday and some cooked carrots (my favorite veggie). The Entertainer couldn't get enough of it! If you are not a big fish fan but know you really need to eat more fish, or if you're just looking for a new way to prepare tilapia, give this a try. Tilapia is a great mild fish to start with. Makes 2 servings, 5oz-6oz depending on size of fillets. 1. Place Mayonnaise, Yogurt and Parmesan Cheese in a small bowl, mix with a spoon until well combined. 2. Cover a cookie sheet with aluminum and spray with Non-Stick Cooking Spray of your choice. 4. Place Tilapia fillets onto cookie sheet, about 2 inches apart. 5. Divide the Cheese mixture and spread half onto each fillet with a spoon, using the back of the spoon to distribute evenly over fish. 6. Rub dill between your fingers to separate and sprinkle 1 to 2 sprigs worth of leaves over each fillet. 7. Sprinkle each fillet with half of the Garlic powder or Garlic Salt and desired amount of Black Pepper. 8. Place cookie sheet into oven about 6" below the broiler. (I used the first level down from the very top). 9. Watch fish carefully. Depending on the weight of the fillets it will take between 5-7 minutes to cook fully. When you notice the cheese starting to brown, check fish every 30 seconds to see if it's done. Fish will flake easily with a fork when fully cooked. I am a huge rule follower but not a very patient reader so I mixed all the topping ingredients together, added some Old Bay and used dried dill weed. My filets were the frozen-in-the-bag type and were done in 5 minutes. Delish! 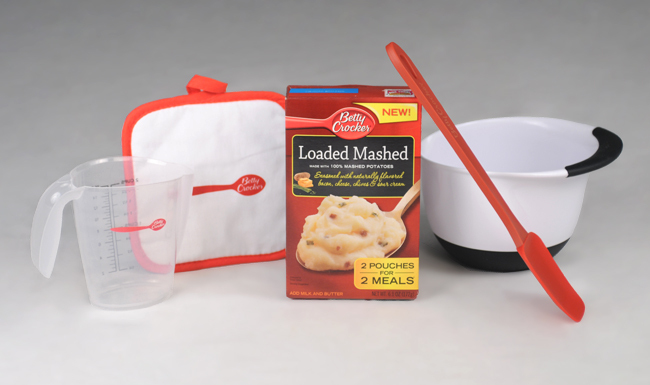 Betty Crocker Loaded Mashed Potatoes - GIVEAWAY! MyBlogSpark and Betty Crocker asked me to try their newest instant mashed potato flavor - Loaded Mashed. The potatoes had a fantastic flavor and my family loved them! Want to try them too? Good news - MyBlogSpark and Betty Crocker has offered to send one of my readers a great prize pack...you will receive a great bowl, spatula, pot holder, measuring cup, and a box of Loaded Mashed potatoes! To enter, just leave a comment and tell me which family-favorite foods you would pair with these delicious potatoes. I served Creamy Parm Topped Tilapia (I'll share the recipe tomorrow!) Contest ends April 15 at midnght. You must leave a way for me to contact you (email addy) in your comment. This product, prize pack, information and additional prize pack to give away were all given to me from Betty Crocker through MyBlogSpark. 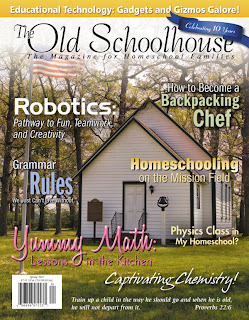 If you are not a current subscriber to The Old Schoolhouse, you can snag a FREE copy of the Spring issue, right now! 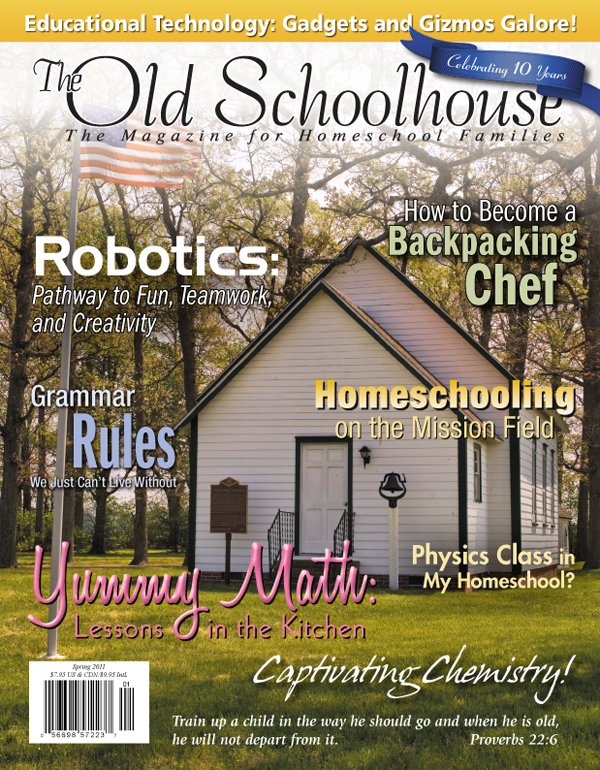 Just visit The Old Schoolhouse, register, and then add the Spring issue to your cart. Enter the coupon code SPRING11TOS (all caps) and you will not need to enter any credit card information at all! "The paradox of worship is this: we perform these acts of worship, but they are not actually for us. We do these things for God, and then we are the ones who are changed. We offer our songs of praise, and we are the ones who are moved to joy. We offer our thanksgivings, and we are the ones who are blessed by the,. We offer the ancient prayers of the psalms, and we are the ones who begin to hear "the prayer of God that rises in our hearts," as my friend Father Edward Farrell says. We offer the gifts of bread and wine in the Eucharist, and we are the ones who are fed and strengthened. There is another paradox that I have noticed about us and our life with God. Very often our prayers are for us as well. We spend a great deal of time and energy telling God all of the things we profess to believe that God always knows and is already working on in our behalf, in ways far better than we can desire or pray for, as the old prayer says it. Those prayers are for us. The prayer of office is for God."